http://www.bhamtennis.com/about.php Since 1998, the Birmingham Area Tennis Association (BATA) has provided tennis and academic opportunities to youth while improving their health and keeping them productive when out of school. BATA’s mission is to improve children's lives through tennis and education so that they can learn discipline and positive social skills, increase their self-esteem, and improve their physical fitness. This program teaches children life skills such as personal responsibility, cultural awareness, nutrition, and conflict resolution, and also measures and works toward improving the fitness level of the participants. Tennis provides a way to exercise, learn sportsmanship, and teamwork; it is the hook that motivates children to participate in other program activities. One goal is to keep the same children involved for three years so there is a better chance of having a positive impact on their lives. Currently the LETT programs offer year round instruction reaching over 10,000 youth a year. 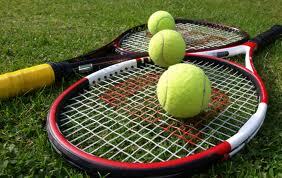 We offer beginner-level tennis instruction all the way to USTA Youth Team Tennis competition. LETT has all the equipment necessary to introduce the game of tennis to any youth wanting to play. To get involved in LETT please email or contact us for participating locations in your community. Monthly fees are $25.